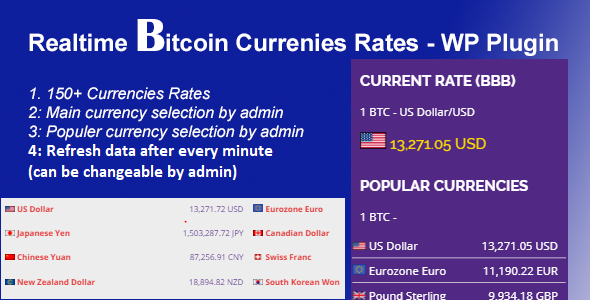 Easy Bitcoin Realtime Currencies Rates - WordPress Plugin is a wordpress plugin which shows the 150+ currencies rates of 1 BTC using APIs. It refreshes the data after every minute (Admin can change time). Admin can select Main and popular currencies as well by admin settings.